I was at an outdoor evening party a few weeks ago with plenty of mosquitoes and gnats to incessantly drive you insane. The hosts (to my delight) had Gold Canyon Citronella candles placed on all the tables outside and every time I walked by a table… I was teased with each candles sweet aroma. They smelled really good and I couldn’t help but be curious. 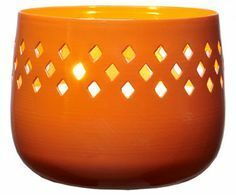 We all know about citronella candles but I’ve never experienced SCENTED ones that smell good. I was intrigued. Once it was time to eat, I made sure we sat at a table that had candles… I wanted to see how well they worked and how strong the aroma was. In the end, I was SO impressed!! No bugs the entire time we sat there and the aroma was wonderful and strong, even burning outside. 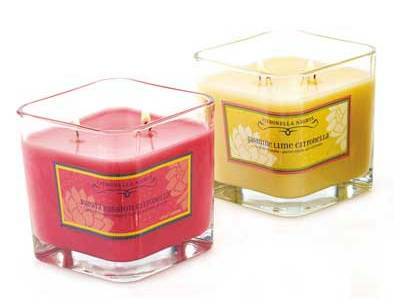 The specific candles burning at this party were Gold Canyon’s Papaya Passion and even though you could smell hints of citronella, it wasn’t overwhelming… the sweet Papaya was much stronger. These candles were so pretty burning and I realized what perfect centerpieces they made too. I loved the whole idea and concept. I can’t believe I’ve never tried these candles before… probably because I’ve never thought to burn candles outside. Searching online, I only found 2 companies that sell citronella scented candles… you’d think there would be more since it’s a really great idea. The two companies were Gold Canyon, the other… Illume. I’m quite the fan of Illume candles so I decided to purchase a few of theirs to test and oh my goodness… I’m in LOVE!!!! Now I have an excuse to eat dinner outside more. 🙂 Great view, fresh air, candlelit dinners, no bugs… PERFECT!! If you haven’t tried one… definitely put one on your list for next spring and summer. They’re fun and worth it.